If you regularly browse the internet then I am pretty sure that you must have encountered those annoying pop-up ads which makes your phone vibrate, at least a few times. These ads are very annoying and we have no option to turn these off. You must be looking for a solution to stop vibrating ads which occurs with some notification and shows some viruses notification and ends up with downloading some file to your phone, Forcefully. Due to those false notifications coming on your screen, which shows that your “Phone Has Got Virus” or “Needs Cleaning” or something like that. Some peoples get confused there and end up downloading those unwanted apps. In actual, there is no virus in your phone but advertising companies use these tactics to get some quick downloads on their apps. Mostly this kind of ads appears on downloading sites so we even get confused that what we actually downloading. This also makes us ending with downloading another useless app instead of what we were searching for. In this post, we have a quick fix for this problem, which let you stop these vibrating ads quickly. Even if ads don’t get completely off then also you will not get any vibration on your phone which will save you from downloading any of those useless apps. However, they just get downloaded to your phone and need to be installed by a user. But most of all new users end up with installing them in hope of getting rid of the virus. But actually, they are useless! An even worst condition is that your phone already have low space and you are not able to save something important to your phone, just because of these apps, which gets downloaded forcefully, without any need. Such, downloads also cost us a lot especially when we have limited data pack or your data pack is about to end. You might not download these apps but this sudden vibration makes us feel tensed and we just click on download. On another hand, You can easily uninstall apps from the phone and delete APK File from storage, but that eats our time for no reason. Some of you might not know how to uninstall apps from Android. So, today we have a complete solution for you which will save your phone from sudden vibration. The solution is introduced by Google itself for their Chrome browser after getting a lot of complaints from their users on their product forum and feedback received through the play store. So, here is how you can stop vibrating ads from vibrating your phone without your permission. 1.3 What To Do If Not Using Chrome Browser? There are plenty of browsers available for play store. You can see thousands of them on play store. But, only a few are popular as they provide a seamless browsing experience. Google Chrome, UC Browser, Mozilla Firefox, Opera Mini are one of those popular ones. But, when it comes to easy to use and good user experience, Google Chrome is best. Most of the Android phones come with Chrome browser pre-installed and you don’t actually need to install another browser. This is what I think. But, everyone has their own choice. And some these browser are good for some tasks, they even perform better than chrome for that specific work. Just like I prefer UC Browser for downloading. UC Browser also has a powerful ad blocker. But, even it fails to block these unwanted pop-up ads. One solution is that you block all popups in your browser, but that not that effective and not a permanent solution as well. So we have brought some tips for you which can be followed by you to block such vibrating ads on your Android smartphone. As I have already told that Google Chrome has introduced a feature which will not let these websites vibrate these phones without your permission. So here is how you can make your Chrome browser vibration proof. That’s all you need to do, now your phone will not vibrate without your permission. Now, you have a foolproof Browser which doesn’t let these websites vibrate your phone. 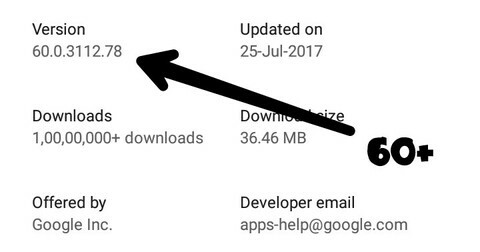 But, what about those apps which are already downloaded and installed? In that case, you should uninstall these apps from your phone. If you find any useless app or any app which you haven’t installed on your own just click on that and hit uninstall. Now you have completely cleaned your phone from these unwanted apps. We have just stopped such websites from vibrating your phone but now from downloads. Means these websites can still show some popup for download but they will not be able to vibrate your phone anymore. So, if any message for virus etc comes then don’t be panic, just close the tab or hit back. Your phone doesn’t have any virus, so don’t download any app which they offer for you to download. What To Do If Not Using Chrome Browser? Not everyone uses the Chrome browser. Yes, I know everyone has different preferences. If you want to fix that you can simply turn off popups by going to browser settings, but it doesn’t block those sites from vibrating which vibrates your phone without opening a new popup. Such site uses same tab redirection which can’t be prevented. On another hand, you can use the Mozilla Firefox web browser as it asks for permission before vibrating your phone. That’s a quite good feature or Firefox and must be added to other browsers as well. So you can also give a try to Mozilla Firefox if you don’t like Chrome browser. So, guys, that’s all for now, I am sure that I have solved your problem. If you follow complete process then it will stop vibrating ads which appears suddenly with a popup and offers something for download.